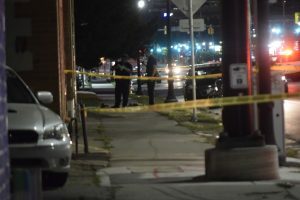 SALT LAKE CITY, Utah, August 14, 2017 (Gephardt Daily) — Police are investigating a fatal officer-involved shooting in downtown Salt Lake City Sunday night. Sgt. 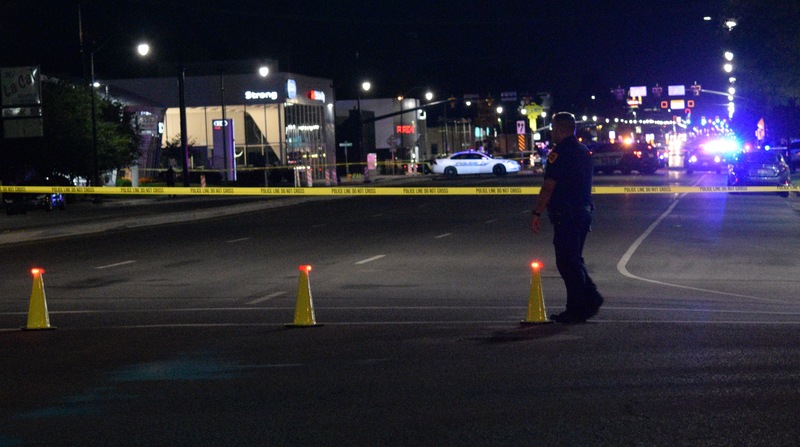 Brandon Shearer, of the Salt Lake Police Department, told Gephardt Daily the deadly incident took place about 10:17 p.m. near 1002 S. State St. According to Sgt. Shearer, a Salt Lake City police officer stopped a man for questioning. Two other officers had arrived for backup when the suspect allegedly pulled a weapon. Officers initiated “de-escalation tactics” in an attempt to bring the situation under control, but the original officer on scene ended up opening fire. Witnesses told Gephardt Daily they heard three shots. The man who was shot was described only as an adult African-American male. He was rushed by ambulance to Intermountain Medical Center in Murray, where he died a short while later. The Unified Police Department, along with the Salt Lake District Attorney’s Office, will conduct an investigation into the officer-involved shooting in accordance with state law. The policeman who allegedly opened fire is described as a veteran law enforcement officer. He’s been placed on paid administrative leave. According to Sgt. Shearer, all three officers were wearing body cameras at the time of the shooting, but it was unclear if they had been activated. Gephardt Daily has a crew on the scene. We’ll have more on the story as information becomes available. What was the weapon the suspect allegedly had? What was the suspects name and age? Police are trained to be irrationally fearful and quick to extreme violence. The killing will continue for the foreseeable future. Patrick Harmon was his name and he also had a mental illness besides being Black. I would also like to know what the weapon was that he supposedly had, and also why he was stopped in the first place? Have the police video cams been released yet? It is now a month later, but I just learned about all this. I can’t seem to find any follow up on this anywhere. Would love more info. He was a really nice, caring guy unless on drugs, which I am assuming he was on at the time, but don’t know.